We’d love your help. Let us know what’s wrong with this preview of Dora e il Mostro dell'Armadio by Bryony Thomson. Dora ha tanto sonno, ma non ha nessuna intenzione di andare a dormire. Colpa di Leone che deve fare il bagno. Di Orso che non ha finito di mangiare. Di Pinguino che vuole sentire una storia... o dei terribili rumori che arrivano da dentro l'armadio? Un libro (divertente!) per bambini molto, molto coraggiosi. 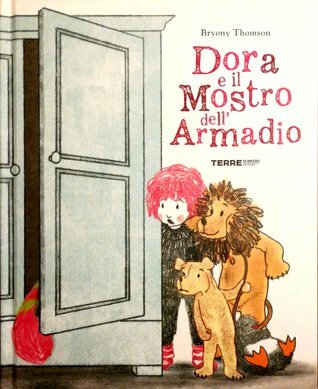 To ask other readers questions about Dora e il Mostro dell'Armadio, please sign up. Monsters in the wardrobe and under the bed are a familiar theme in children’s books. In this story, there is a monster (a rather huge but cute and cuddly creature) who is grateful to Dora for opening the wardrobe door as he has been scared of the noises coming from the bedroom. 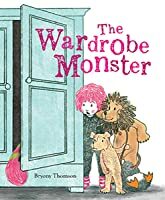 Funny and reassuring, this is a perfect bedtime picture book filled with e4ndearing characters that is especially suited for those children who think that “wardrobe monsters” exist!